Ingrid is now offering professional long-arm quilting services. Check out the long-arm quilting services page for pricing and more info. 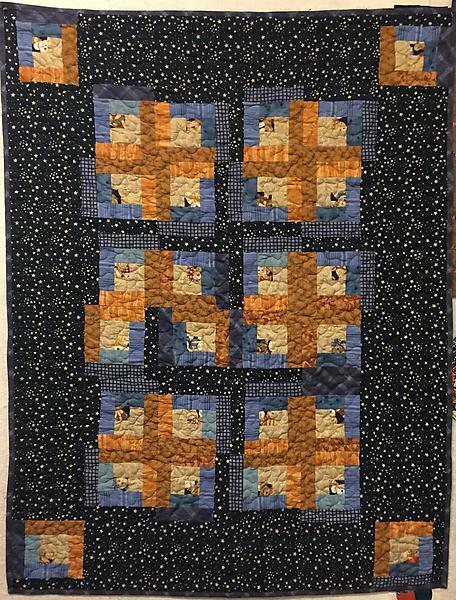 This log-cabin quilt was made for a family that just had baby #9. We had a great time making it. Copyright ©2008, Ingrid Whitcher, except where noted. All rights reserved.